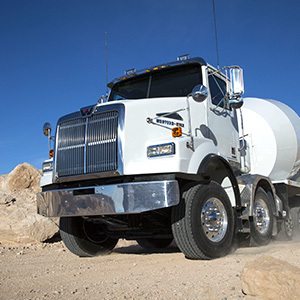 Designed for higher torque applications, quieter operation and increased payload capacity, Detroit rear-drive axles are also easy to maintain, increasing your uptime and reducing your cost of ownership. 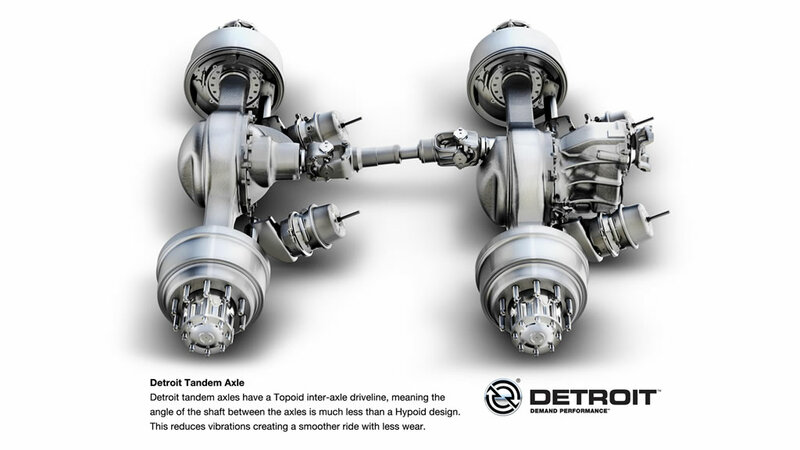 Detroit's latest axle technology facilitates the use of faster axle ratios to support downspeeding, while our latest Axle Lubrication Management (ALM) system helps drive additional fuel-economy improvements. 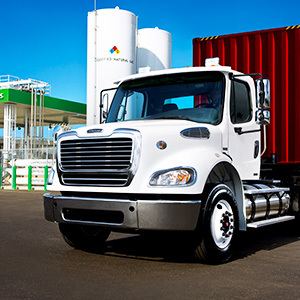 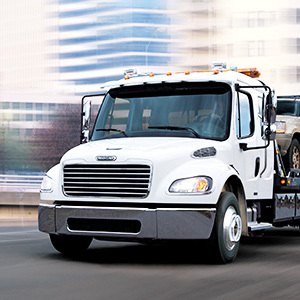 ALM is a feature that’s only available from Detroit, exclusively in the new Freightliner Cascadia®. 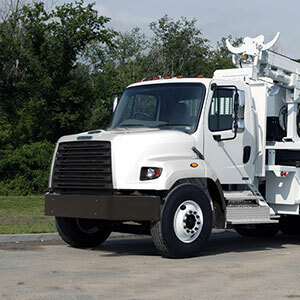 Up to 5 years or 750,000 miles, depending on truck model and application. 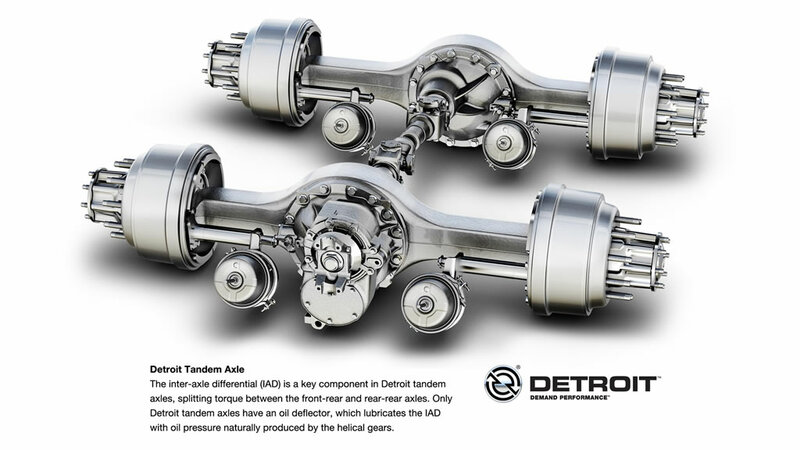 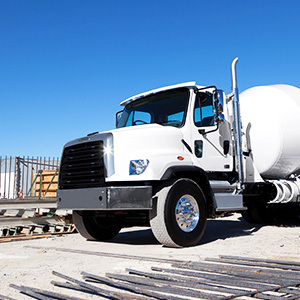 Detroit is expanding and refining its lineup of axles, delivering a completely new line of heavy-duty drive technology. 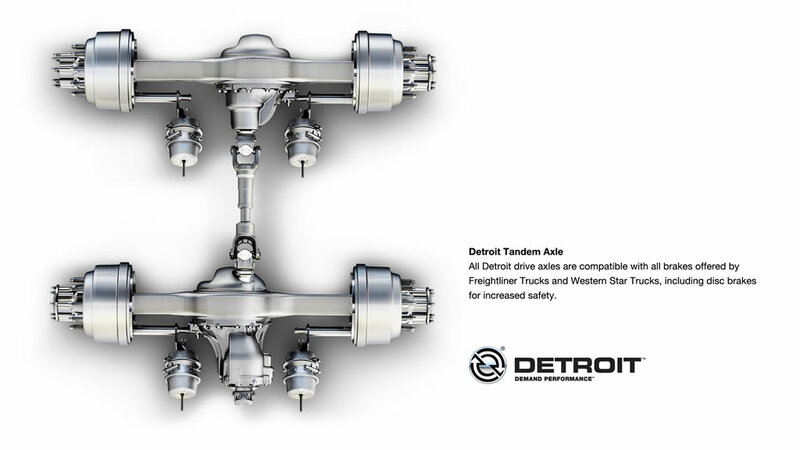 These new Detroit axles are available in all truck models. 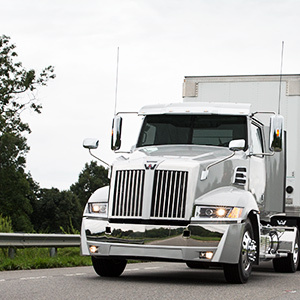 Click through the tabs below to learn more about the Tandem Rear Axle features and benefits. 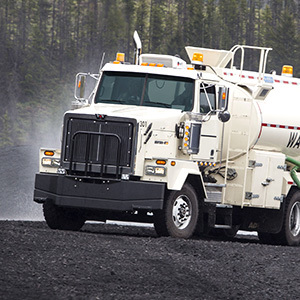 Improved seal design for optimal leak protection. 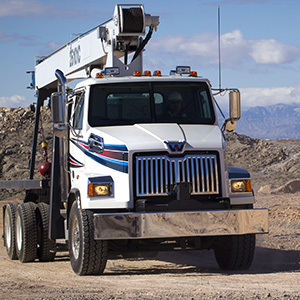 Added robustness to optimize drivetrain performance in down speeding applications. 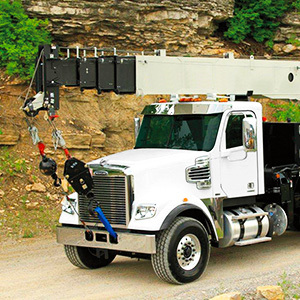 Achieves maximum balance in fuel efficiency and durability. 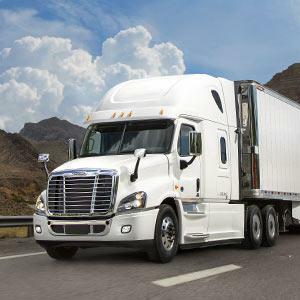 Actively regulates oil level at the ring gear to reduce “churning” to drive additional fuel economy benefits. 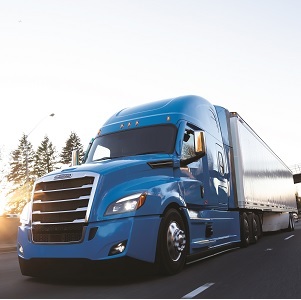 Super-Finished Gears: Tightly-spaced 12-speed gearing, now with "super-finished" gears in the new DT12 available for the new Cascadia and Western Star 5700XE, improves low-speed maneuverability, making the Detroit™ Powertrain not only strong and efficient, but also smooth and safe to operate as well.